Each estate had one vote. ii. First and Second Estates could operate as a block to stop the Third Estate´s proposals. Representatives from the Third Estate demanded that voting should be done by population. The Third Estate proclaimed to be the National Assembly. Louis XVI responded by locking the Third Estate out of the meeting. The Third Estate relocated to a nearby tennis court where its members wanted to create a written constitution for France. 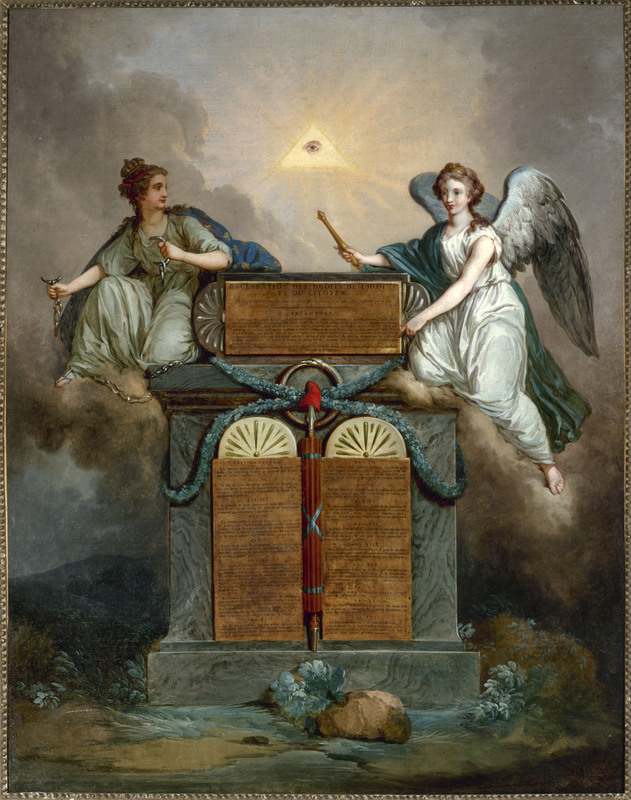 On June 1789, Louis XVI ordered the three estates to meet together as the National Assembly and vote, by population, on a constitution for France. a. Louis XVI did not want a written constitution. b. When news of his plan to use military force against the National Assembly, people stormed the Bastille on July 14, 1789. People of Paris seized weapons from the Bastille: July 14, 1789 Parisians organized their own government called the Commune. iii. Many nobles fled the country. Parisian Commune feared that Louis XVI would have foreign troops invade France to finish the rebellion. ii. Royal family spent next several years in the Tuilleries Palace as virtual prisoners. e. Right to a fair trial. This new government became known as the Legislative Assembly. Royal family asked for help from Austria and in June, 1791 and nobles who fled the revolution lived abroad as émigrés. Church officials wanted Church lands, rights, and privileges restored. European monarchs feared that revolution would spread so France was invaded by Austrian and Prussian troops. The Commune took control of Paris. Commune was led by Danton, a Jacobin. Voters began electing representatives for a new convention which would write a republican constitution for France. Meanwhile, thousands of nobles were executed under the suspicion of being conspirators. 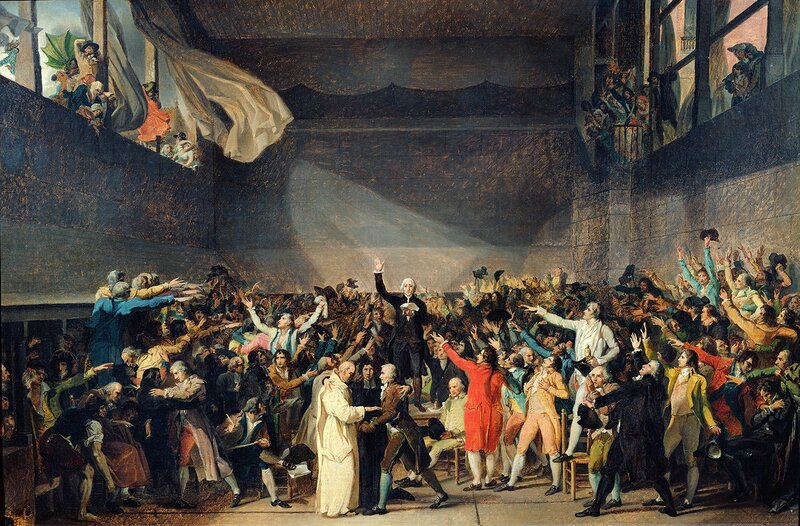 On September 22, 1792, the Convention met for the first time. ii. Jacobins (led by Marat, Danton, Robespierre) represented workers and were radicals. The Convention abolished the monarchy: Put the royal couple on trial for treason and Louis XVI and Marie Antoinette were guillotined in 1793.
b. The “Marseillaise” was written and became the French national anthem. Committee of Public Safety was the new Government headed by Danton and later Robespierre. Those accused of treason were tried by the Revolutionary Tribunal and approximately 15,000 people died on the guillotine. Members of the Girondin party tried to end the Reign of Terror. Robespierre becameleader of the Committee of Public Safety. He continued the executions. ii. 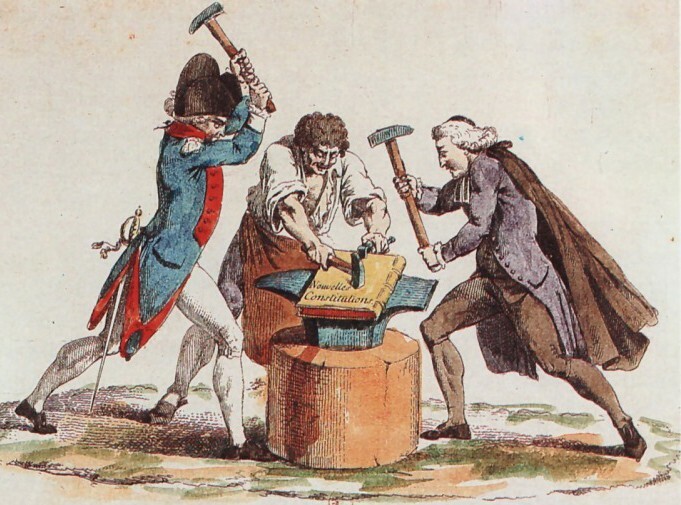 Convention sent Robespierre and other members of the Committee of Public Safety to the guillotine. The Convention could finally pass its new constitution: Constitution of the Year III of the Republic (1795) and created the Directory which was an Executive Government of 5 people. a.The Directory suffered from corruption and poor administration. b.The people of France grew poorer and more frustrated with their government. c.The French developed a strong feeling of nationalism—they were proud of their country and National pride was fueled by military successes. d. Napoleon Bonaparte, a military leader, came to power through a coup d’état and this fact ended the ten-year period (1789-1799) known as the French Revolution.